An artist, curator, event coordinator, cultural seed planter, Jeremy creates spaces for community engagement and provides platforms for people to be heard via art. 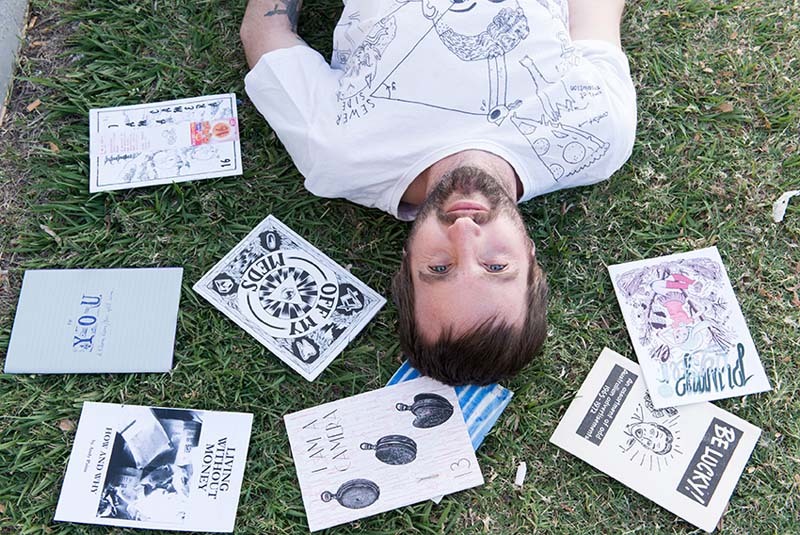 He’s been delivering zine workshops for the past 17 years from Palm Island to Tokyo as well as curating a touring zine exhibition, Copier Jam! that has been touring Australia for the past two years. Join your voice with those of the Woodfordia community in our first Woodford Folk Festival Zine, made for you - by you! Share ideas and make art using all manner of media with Jeremy Staples.